We’re super excited to announce that The Let Go EP is out now! You can go to our online store to download your digital copy today. And we’re still giving away the first single ‘Let Go’ for a FREE DOWNLOAD. We’re so happy to finally have this thing out in the world, and we’d love to thank all the wonderful people that helped us bring it together. Mike Avenaim, for his epic production and drumming skills. Joel Burton the bass man, Bobby Holland the mix master, Evren Goknar the master master, and Josh, Marty and Ross for all their efforts with the video and photo stuff. Here’s the film clip for our brand new single ‘Let Go’! Directed by Martin Mulholland and assisted by Ross Waldron. Thanks so much guys, we couldn’t have had a funner day with 2 bigger legends! Remember you can download the new single for FREE here. HBM will be performing live on The Morning Show on Channel 7 tomorrow morning at 9.50am. Here it is guys, our brand new single ‘Let Go’. We’re very very excited to be sharing this with you for the first time today, we’ve been working really hard on the new EP and we’re glad it’s finally making it’s way out into the world. In further exciting news, we’ll be debuting the new single on The Morning Show on Wednesday August 20 @ 9.50am. So tune in to see us play a live acoustic version of the track. We’re very excited to announce that we’ll have a new EP coming out for you very soon. We have a lot more details to announce over the coming weeks, but for the moment we just though we’d share the cover with you! More news soon we promise. Acoustic pop duo heart.beats.mind. have spent the last year writing songs. These songs were the result of countless wine soaked evenings on the living room floor of a Sydney apartment, and they’re now songs that they want to share with you. 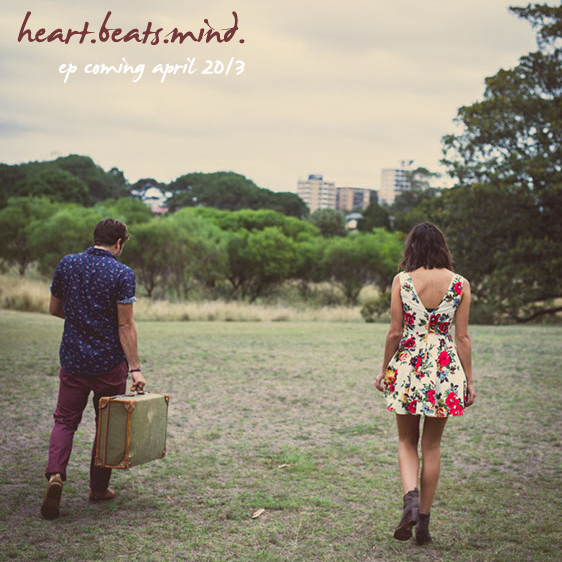 Introducing the heart.beats.mind. EP. 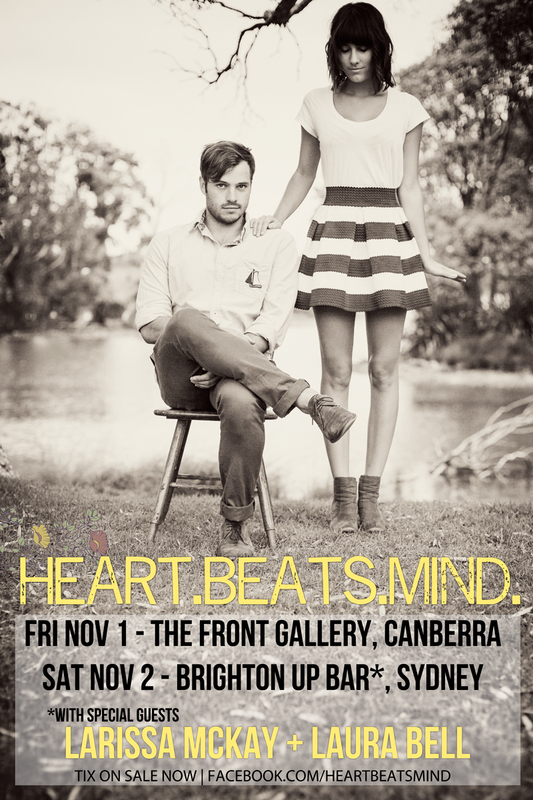 Produced by Jordan Millar & Sean Carey and recorded both in LA and Sydney, the heart.beats.mind. EP is a delicate introduction to Elle May and Jordan Millar, who’s musical chemistry is undeniable and has seen the formation of this mischievous duo. As their two voices intertwine over their pop hooks, be prepared to be drawn into their world and experience their playful and harmony soaked tunes that’ll run through your minds all day long.